Having a vehicle with a turbocharged engine will have increased power as well as other benefits compared to a regular engine. The fuel consumption of turbocharged engines is generally lower because of the exhaust energy that is being contributed to the engine’s efficiency. Volkswagen equips nearly all of their vehicles with turbocharged engines. Continue reading below to learn what the different Volkswagen models with turbo engines are! Volkswagen equips nearly all of their vehicles with turbo engines because of the performance that they have to offer. Some of the VW models that are equipped with turbo engines include the 2019 VW Tiguan (2.0 turbo engine), 2019 VW Jetta (1.4 turbo engine), 2019 VW Passat (2.0 turbo engine), 2019 VW Arteon (2.0 turbo engine), 2019 VW Atlas (2.0 turbo engine on select models), 2019 VW Golf Sportwagen (1.4 or 1.8 turbo engine), 2019 VW Beetle (2.0 turbo engine), 2019 VW Golf Alltrack (1.8 turbo engine) and the 2019 VW Golf (1.4 turbo engine). 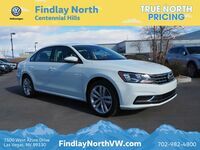 In the pre-owned vehicle inventory at Findlay North Volkswagen, there are a variety of Volkswagen models with TDI engines. TDI or Turbocharged Direct Injection engines are a model of turbodiesel engines that feature a turbocharging and cylinder-direct fuel injection that Volkswagen produced and developed. 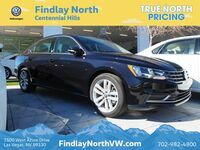 Models that can currently be found in the pre-owned inventory with a TDI engine include the VW Jetta, VW Passat and VW Beetle. 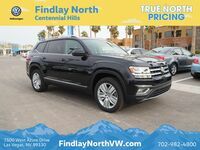 If you are interested in any of these available Volkswagen models, be sure to contact Findlay North Volkswagen for more information!